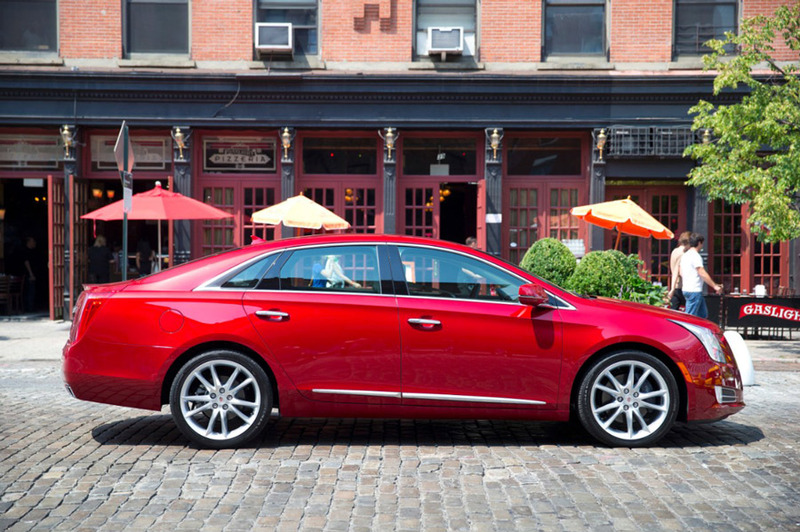 We previously tested Cadillac’s new full-size luxury sedan, the XTS. As a Cadillac, it surprised us because there was front or all-wheel drive instead of rear-drive, a somewhat ordinary V-6 instead of a big V-8, and almost none of the sporty bravado that has characterized several of the company’s other recent models. We liked the very well-executed interior and ample space, but otherwise weren’t blown away. 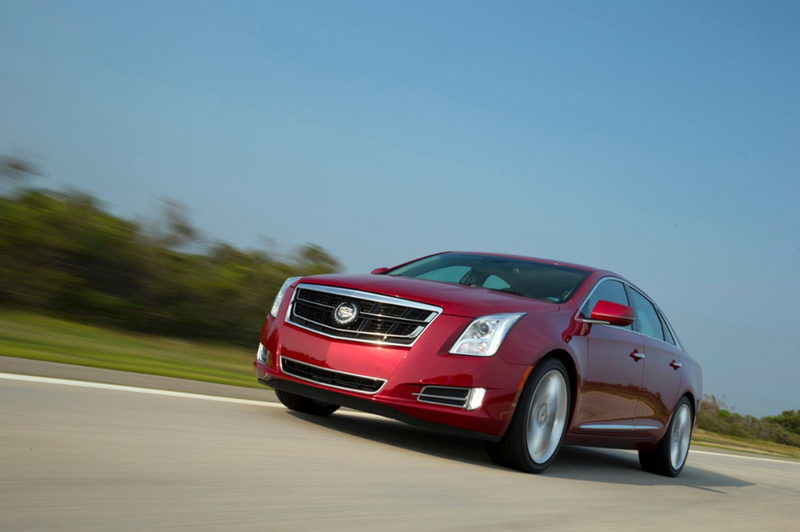 For the 2014 model year, though, the XTS has gotten a fresh injection of power in the form of the Vsport model, which sports a reworked and twin-turbocharged 3.6-liter V-6. Other new bits for 2014 include a rear seat entertainment system, automatic parking assist and Intellibeam headlights, but the main attraction is still the motor. Extra power adds extra numbers to the price tag, though, so is the XTS now good enough to stand out in a field that includes the Jaguar XJ, BMW 7-Series, Audi A8 and Lexus LS? Our test car was a Vsport equipped with all-wheel-drive and the Platinum Collection package, which brought the total cost to $71,015. Unique to the Vsport are “Twin Turbo” grille and deck lid identification, while the Platinum Collection adds chrome finish on the grille and 20-inch aluminum wheels with polished finish and chrome inserts. Other than that, there is nothing of note to distinguish the Vsport from any other XTS, and while we still think it’s light years ahead of the old DTS and STS, it does not look like it should cost as much as it does. At least on the outside. 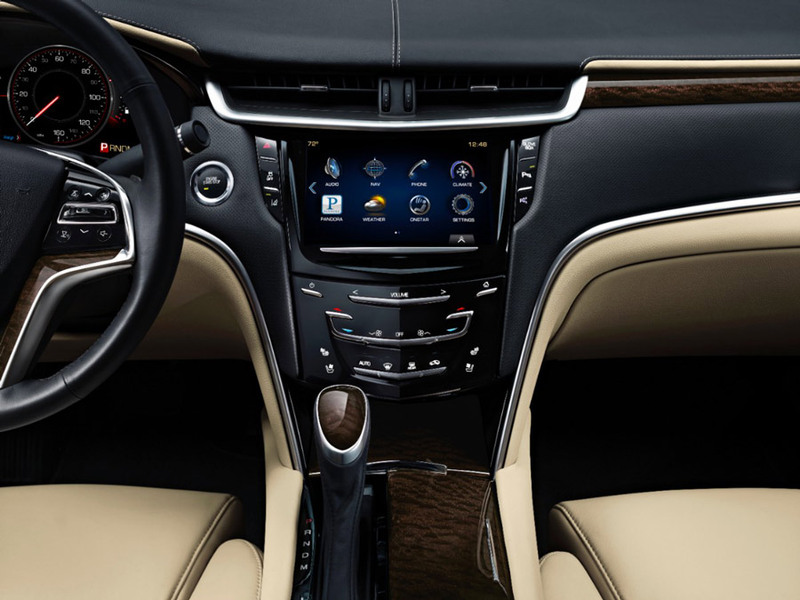 The current crop of Cadillacs shows that they really know how to get interiors right, and in this car the interior again proved to be where the XTS shined the most in terms of both finish and functionality. 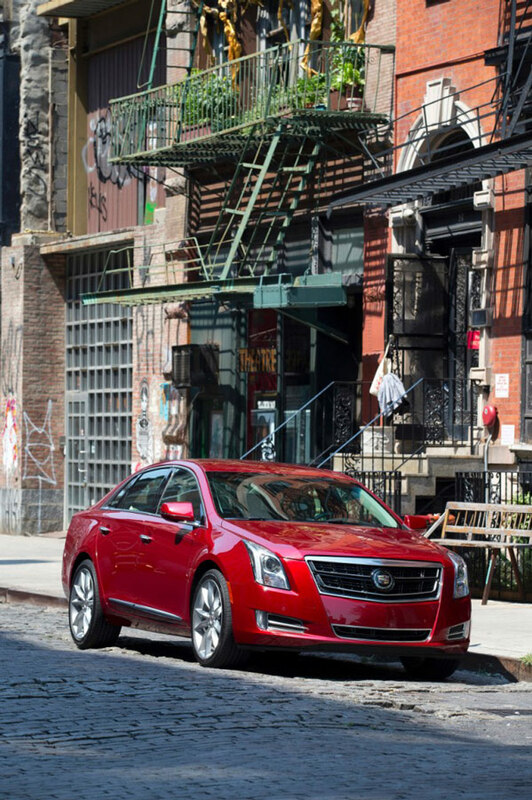 The XTS is the roomiest car in the brand’s lineup, while the trunk has a truly cavernous 18 cubic feet of space. The Platinum Collection brings a fully wrapped leather interior with microfiber sueded headliner as well as wood trim (which is real) on the steering wheel (which is heated, by the way), console, center stack, instrument panel and door panels. For entertainment’s sake, included is a 14-speaker Bose system along with the CUE infotainment system that we still like. It’s not all for the people in the front seats, either, as there is an available entertainment system with twin DVD screens on the back of the front seats and both rear and side window shades. In addition to two smaller turbochargers, the 3.6-liter V-6 has a new cylinder block casting, new cylinder heads, strengthened connecting rods, higher compression and a new direct injection system, bringing a hike of over 100 horsepower and over 60 lb/ft of torque over the normally aspirated car. What’s more, it’s usable power as well, with peak torque coming from 1,900 to 5,600 rpm. It gives the Vsport very smooth power delivery that cut around two seconds off of the 0-60 time to a nip under five seconds. It’s darn quick, with a 6-speed automatic that always seems to be in the right gear, making the anxiety of passing on a two-lane road a distant memory. As for the rest of the driving experience, it isn’t any different from the last XTS we tested, and that’s because it isn’t a different car. The advanced Magnetic Ride Control and HiPer Strut front suspension remains largely unchanged, the steering has a similar feel, the same Brembo brakes come on the front, and it has the same gear ratios on the six-speed automatic, albeit with a shorter final drive. 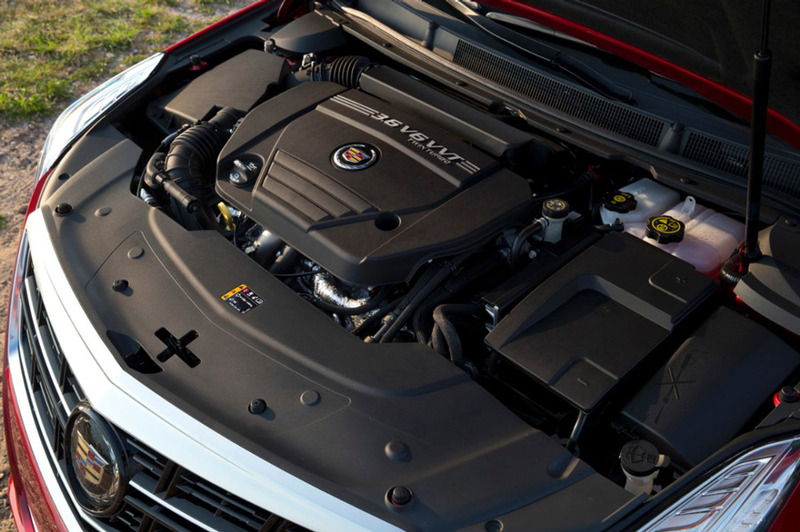 Compared to the awesome engine that comes with the XTS Vsport, the rest of the car just feels too soft. For what it costs, it shouldn’t drive like the fancier and hotter Chevy Impala that it is underneath. A proper XTS V with firmer suspension and a hearty exhaust note would be a welcome addition here. The Vsport is certainly more of a performer than the normally aspirated XTS we tested, but it still isn’t a sports sedan in the same league as the imports. And that’s frankly okay, as it fits a nice segment that wants the power, but not the edge. The Vsport is just an XTS with a better, more powerful engine, and not much more. The interior is still thoroughly impressive and the motor is genuinely a good one, but for this kind of money (or just a few grand more) there are several European alternatives that we would find more interesting to drive. I think you miss the point. Not all cars need to be mountain road burners. Some just need to swaddle and coddle which it seems this car does well. Thanks for the comment. I understand and appreciate your point. I actually meant to get that point across in the review, but apparently didn’t stress it enough. 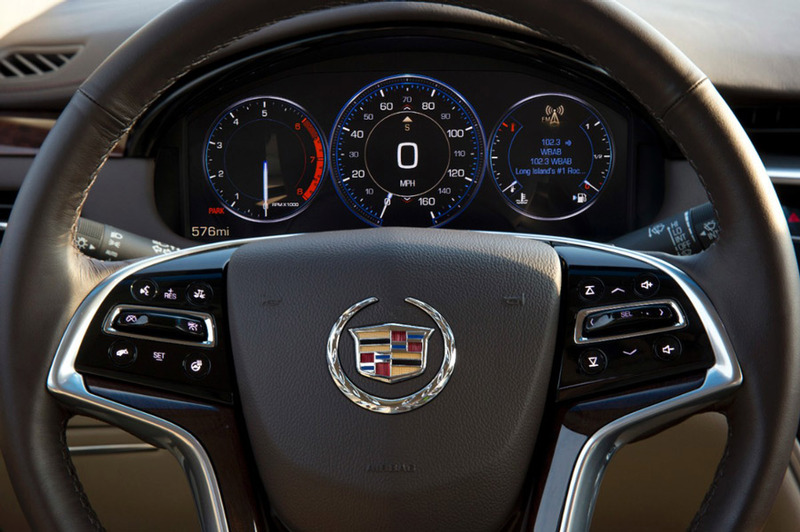 We love a little coddling every now and then and the XTS Cadillac series does that very well. Best interior for the price and 32.2 mpg on multiple hour drives with Adaptive Cruise Control set at 65 mph….with AWD! I can’t say enough how nice it is to drive this can I bought used used XTS Vsport Platinum with 40,000+ miles on it. Not only does it drive nice but it turns heads at every corner.